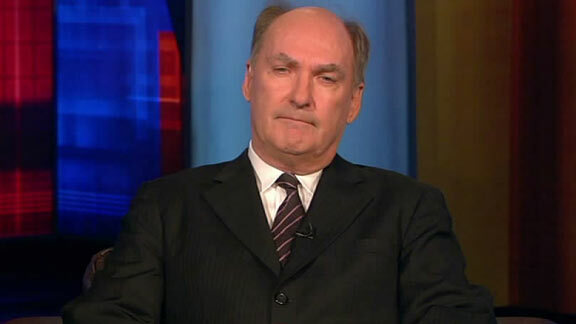 Jim Delany doesn't care too much for those young men from Tuscaloosa. If you've been paying any attention to the college football post-season debate, you've certainly heard/read the comments by Big Ten commissioner Jim Delany regarding his feelings on teams that don't even win their divisions being eligible to participate in the purposed playoff system said to replace the current BCS system. He never mentions any school by name, but it's pretty clear who he's talking about. "I don't have a lot of regard for that team. I certainly wouldn’t have as much regard for that team as I would for someone who played nine conference games in a tough conference and played a couple out-of-conference games on the road against really good opponents. If a poll doesn't honor those teams and they're conference champions, I do." It's pretty very obvious he's talking about Alabama, who in 2011, won the BCS national title without even winning their division or playing in the SEC championship game. Call it unfair, which it is, but it's also the system we have to live with. Don't hate the playa. However, as a Michigan blogger and well-documented fan, I would like to kindly ask B1G commish Delany to please stop picking a fight with the best team in the best conference in college football. Especially since in less than 4 months Michigan is set to take the field in Jerryworld in primetime against said SEC team. Now, I must admit that I think Delany has a point. And I'll also admit that there is almost no scenario that includes any sort of playoff format that is not biased or unequal in terms of it's fairness. Every conference is different. Every division in those conferences are different. 4-team playoff system, 6 teams, 8 or 16 teams...it doesn't matter. It's never going to be fair. Because the college football season is not set up to maximize a playoff format. Teams don't play enough games. Think about it. In the NFL, teams play 16 games, and there are only 32 teams – 12 of which make the playoffs...4 division winners and 2 wildcard teams in each conference. "I'm not opposed to 1 vs. 4, 2 vs. 3, plus-one concept," Brandon said. "I don't see it as a true playoff system. It's a clever way to come up with one more football game. I'm not sure I call that a playoff, but if it makes everybody feel better, call it a playoff." Of course he's not opposed. It's not in his, or Michigan's, or the Big Ten's best interest to be opposed. The south (the SEC) is in the driver's seat in any college football playoff debate. It's a tough look in the mirror for proud conferences like the Big Ten and the Pac-12, but the quote from DB above shows that the geographic reality is starting to set in. Time for everyone to get on board or get left at the station. And no one wants to be left at the station. There's no money at the station. Never before has college football been more profitable to everyone involved (except the players, but that's a different debate altogether). And if they can add another game to sell to the networks, why not? But never before has there been more debate on how justified the process of choosing a national champion is. Even back in the bowl coalition days (before 1998), there was debate, but never talk that the system was broken, it was just "the system". It was outdated. You could make the argument that the only thing the BCS has added to the debate is the idea that they tried to fix it and missed the mark big time. So what's the short-term solution? Revamp the BCS to a plus-one format. It's not perfect, but it's the best a large group of well-paid administrators can come up to appear as if their working on something with without interrupting revenue and keeping everyone who's on the take happy. It's one big cup of compromise. All that's left is to hash out the details like how we choose which four teams get in, and how the current bowls will be dealt with and who will host the semi-final games...the schools or the current bowl sites? You know, little stuff.